The fire truck is red, the helmet is yellow, and the tree is green - every child knows that. With these amusing slider boards, children will learn early on how to match colors. 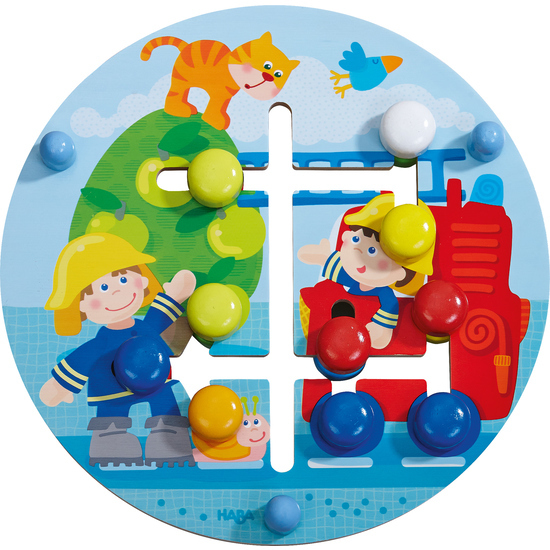 Turn the board over, learn counting 1-4, colors and geometric shapes.